We’re moving on to States! Each year thousands of students across Ohio in many different endeavors begin their athletic seasons with this goal in mind. Win a state championship. This same goal applies for our students who compete in academic competitions. 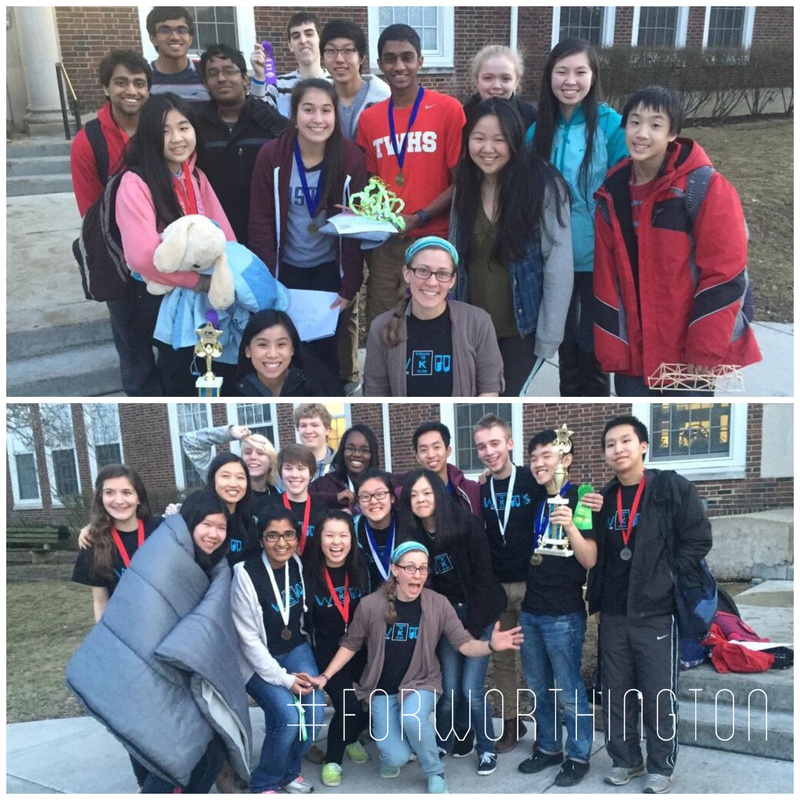 Thus, last weekend was a very successful one for our Science Olympiad teams from Worthington Kilbourne and Thomas Worthington High School. Both teams led by coach Chelsey Kiehborth scored well enough in the regional tournament to move on to compete in the State Tournament on April 11th at The Ohio State University. If you’re unfamiliar with Science Olympiad their website describes the competitions “The Ohio Science Olympiad is a statewide program dedicated to improving the interest of all students in the ever-changing world of Science Technology Engineering and Mathematics (STEM). A strong emphasis is placed on active, hands-on participation to assist students in their overall social development, leadership, and problem solving skills, in an effort to motivate and energize students to excel in and out of the classroom. Teamwork is a required skill in most scientific careers today, and Science Olympiad encourages group learning by designing events that forge alliances. Our Science Olympiad students compete as a team and function in much the same way as our athletic teams. They practice together and compete together. They succeed or fail as a team. Our students put in significant time and effort in order to see success. This year both of our teams are succeeding! On April 11th they’ll compete for that State Championship. Go Wolves! Go Cards! Every two years Ohio goes through a complex process writing what is known as the biennial budget, an intricate blue print for the state’s finances. Right now we’re at a critical crossroads in the development of the legislation, which must be passed by July 1. Legislative hearings are being held constantly at the Statehouse, and the stakes are high. Developing a two-year state budget is serious business, and in an age of limited public resources, setting a fair education formula has proven to be difficult if not impossible. Based on feedback we have received from residents, confusion is widespread–and who could ever blame the taxpayers. Our analysis of the Governor’s budget proposal indicates the District will lose approximately $1 million for next year and an additional $1.7 million the following year for a total loss of $2.7 million. Here in Worthington we maintain conservative budgets, and the voters have supported the schools by passing the vitally important 2012 levy. 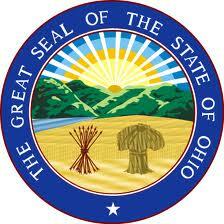 Today, however, some of the proposals being discussed downtown at the Statehouse give us reason to be concerned. One example is the possible reduction or maybe even elimination of funds provided school districts to compensate for elimination of Ohio’s Tangible Property Tax (TPP). No other school district in Franklin County is impacted as much as Worthington when it comes to the loss of the TPP tax. For Worthington, doing away with the reimbursement for TPP loss would mean up to a $10.6 million loss. Hopefully it never comes to that and legislators keep the reimbursement in place, but one never knows when the budget is being developed. Similarly, some are proposing that districts spend down their “rainy day funds” and other reserves. Such proposals run counter to prudent conservative budget practices, and we in Worthington would feel great pain if we were forced to pare down reserves and become a district living on the edge. That makes no sense. The confusion citizens feel about the state and local budgets is totally understandable, and we welcome your calls and emails should you want to discuss the budget. Above all, please remain involved in the process. Sometimes it can be heavy going, we know, but often a call to your legislators can shed light on these matters and help members of the General Assembly as they weigh these critical budget decisions.